Welcome to Macon, the heart of Georgia and the historical crossroads of the South. 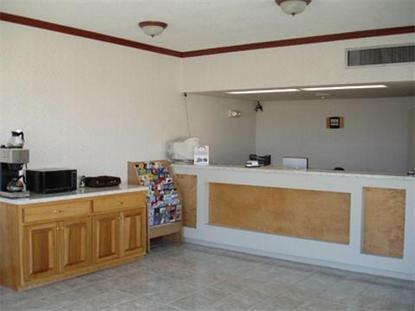 The Americas Best Value Inn is conveniently located just west of Interstate 75 at exit 155, on Hartley Bridge Road. There is a pay Shuttle service to and from our property to Middle Georgia Regional Airport *MCN*. Our charming facility offers spacious Guest rooms which are furnished with a Workstation Desk, Complimentary Hi-Speed Wireless and Wired Internet access, Cable TV with HBO, In-room Coffeemaker, Complimentary Local Calls, and Wakeup Service. Some Guest rooms are also equipped with Microwave and Mini-Fridge. You can relax in our large outdoor Swimming Pool. We have a Business Center with Copy and Fax service. Lake Tobesofkee, Ocmulgee National Monument, and the Georgia Music Hall of Fame are all nearby. Our courteous and experienced Front Desk staff is here to assist you around the clock. We are confident you will find your stay with us a very memorable and enjoyable experience. Come and enjoy the value of staying with Americas Best Value Inn. .